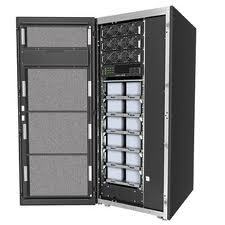 UPS Protection offers the widest selection of New Power Protection Products from the worlds top vendors. American Power Converstion (APC) provides protection against many of the primary causes of data loss, hardware damage and downtime. APC, known for Legendary Reliability™, sets the standard for quality, innovation and support for power protection solutions from desktop systems to data center operations to entire facilities. AC Power Uninterruptible Power Supplies (UPS) Sustain critical operations that simply can’t go down. Emerson Network Power delivers a full range of Liebert uninterruptible power supplies (UPS) and power distribution units (PDU), from individual data center solutions to integrated systems that keep network closets, computer rooms and data center infrastructure up and running. Powerware premium UPS solutions offer a number of exclusive benefits, including a comprehensive Product Line Ranging from 350 VA–160 kVA with award-winning, Technologically Advanced UPSs. Powerware’s service is unparalleled and enhanced with a comprehensive power management software. 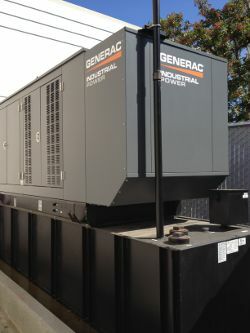 Cummins Power Generation and Generac emergency and standby power systems provide uninterrupted power for essential operations and help businesses comply with life/safety codes during times where long power outages occur. In the event of an AC power failure, Lighting Inverters will automatically transfer to battery power and continue to provide power to lighting and other critical systems without any interruption for a full 90 minutes. ABS or HBO ABS plastics.